Research into mobility is an exciting challenge for the social sciences that raises novel social, cultural, spatial and ethical questions. At the heart of these empirical and theoretical complexities lies the question of methodology: how can we best capture and understand a planet in flux? Methodologies of Mobility speaks beyond disciplinary boundaries to the methodological challenges and possibilities of engaging with a world on the move. 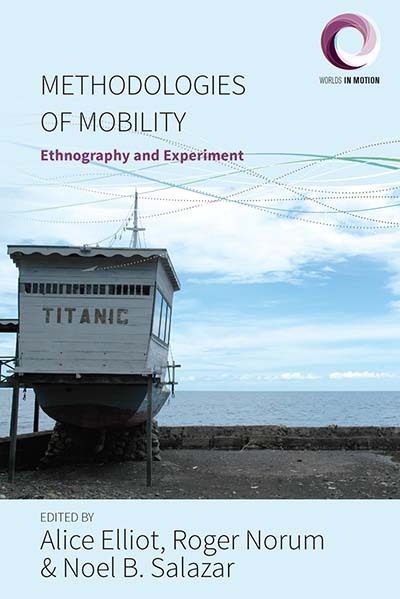 With scholars continuing to face different forms and scales of mobility, this volume strategically traces innovative ways of designing, applying and reflecting on both established and cutting-edge methodologies of mobility. Alice Elliot is a Lecturer in Social Anthropology at the University of Bristol, UK. Roger Norum is a Postdoctoral Research Fellow at the University of Leeds, a researcher on the HERA project Arctic Encounters: Contemporary Travel/Writing in the European High North, and co-convenor of the EASA Anthropology and Mobility Network (ANTHROMOB). Noel B. Salazar is Research Professor in Anthropology at the University of Leuven and Founder of the EASA Anthropology and Mobility Network.